This article illustrates the TV format business in Japan, which has a 60-year history of TV broadcasting and is the second biggest market in the world; however, it is still a small player in the business. The article examines the elements which prevent the international sale of more TV formats and suggests possible solutions. To meet the objectives, this study presents the following research: 1) a questionnaire to ask TV content buyers about the problems and strong points of Japanese TV formats, 2) semi-structured interviews with Japanese TV format sellers via email, 3) semi-structured interviews with TV format experts, and 4) archival research. As a result, this study found that the elements that prevent Japan from developing the TV format business include their unique presentation style in light entertainment shows, called ‘variety show style’, an inability to adjust this structure to the international market, and traditional Japanese-styled business practices. As possible solutions, this article suggests 1) introducing flying producers, 2) changing the business structure, 3) buying foreign TV formats, and 4) taking risks. This research illuminates elements which prevent the development of a Japanese TV industry format business and proposes possible solutions from European perspectives. 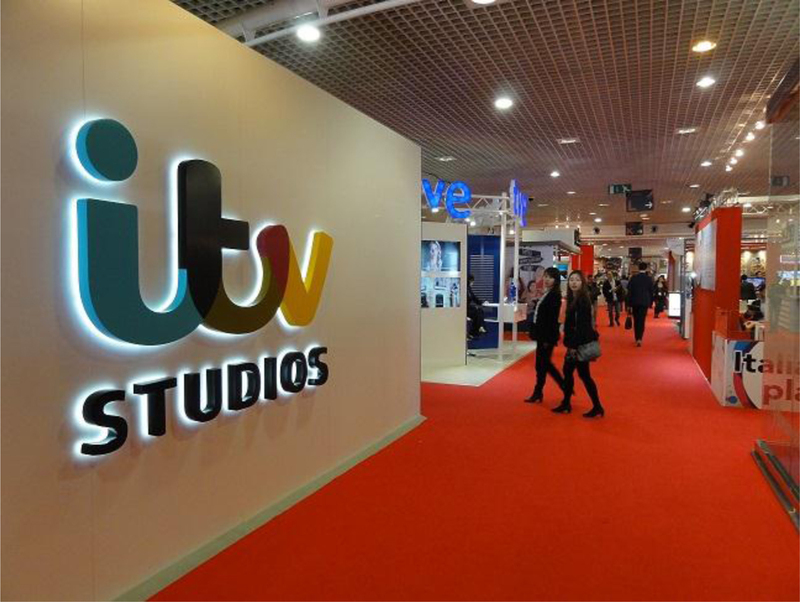 First, the researcher distributed questionnaires regarding the Japanese TV format to international TV content buyers who attended Marché International des Programmes de Télévision (MIP TV, ‘International fair of TV programmes’) 2014, one of the biggest TV content fairs, held in April of that year in Cannes, France. The questionnaires were sent to approximately 200 TV content buyers and TV executives in charge of content acquisition, and answers from fifteen respondents were received. Second, semi-structured interviews were conducted with TV format specialists in the UK. The interviewees were Simon Quigley, International Producer at BBC Worldwide and Tim Crescenti, President at Small World IFT, who is very familiar with the Japanese TV industry. Their valuable comments illuminate problems that the Japanese TV industry is facing and suggest possible solutions. Third, Japanese TV format salespersons were interviewed via email. The aim was to highlight the problems and reality of the Japanese TV format business. Because the emails were written in Japanese, they were translated by the author. The first part of this article presents basic information about the Japanese TV broadcasting industry, for example, the structure of the industry and the reasons its executives are interested in the TV format business, which are essential to understand this argument. The second part identifies possible impeding factors that prevent the Japanese TV industry from improving the format business by examining the results of the questionnaires and interviews. The problems can be summarised into two points: alien-ness of Japanese popular shows and the lack of a structure to adjust them to the international market. In the third part, possible solutions will be examined. This part suggests realistic and effective solutions to the problems, categorized into three options: exploitation of Japan’s reputation for game shows, a change of the business structure and more purchases of TV formats. Second, since in-house production is still common in Japan, most Japanese TV shows are produced by TV broadcasters or subsidiaries, which means that almost all Japanese shows are produced domestically.9 In the 1980s, Japan imported only 5% of all programmes, and this tendency has not changed.10 Therefore, the Japanese TV broadcasting industry has a lot of TV shows that have not been exposed internationally and has accumulated a myriad of original TV programmes and ideas over a 60-year period. In addition to the ability to sell many TV formats, there are other reasons Japanese TV executives are now desperate to export more TV formats. First, the financial situation of Japanese TV channels has been deteriorating. According to one study, the total operating income of Japanese TV channels has drastically decreased since 2005 (Figure 1). One cause was the global economic crisis in 2008. Advertising revenue fell 4.7%, which was the first drop in five years.11 Meanwhile, the advent of new technology also caused a sudden decline. For example, advertising revenue of TV channels decreased by 11% (worth ¥211.4 billion), whereas that of the Internet increased by 854%.12 Since Japanese TV channels are private channels, except NHK, the sudden drop in advertising revenue was an urgent issue. Figure 1. Operating profit or loss in Japanese TV stations. To summarise, Japanese TV channels have the ability to sell more TV formats internationally, and they have reasons for accelerating their business immediately. Some Japanese TV formats have been sold into international markets since the 1980s, but the revenues are still low. In 1987, Waku Waku Animal Land (1983–1992, TBS), a quiz show featuring animals, was sold to the Netherlands and has been sold to about 30 territories since then. Recently, Dragons’ Den (2001–2004, NTV; 2005–present, BBC Two) aired on BBC Two, and Ninja Warrior UK (1997–present, TBS; 2015–present, ITV) aired on ITV. However, Japan is still a small player in the TV format business. According to FRAPA, the number of formats sold between 2006 and 2008 was 16, which ranked at sixth out of 14 selected countries.15 The sales income from formats just reached £3.5 million in 2012, whereas those of the UK reached £41 million in 2011.16 Makito Sugiyama, Chief/Vice President at Global Business Department at TBS, stated, ‘in a scale of the whole company, the revenue reaches only a few percentages of the total revenue’,17 and the revenue remains small for TV channels as well. Considering its history, its market size, and its TV production abilities, I believe that Japan has the potential to sell more successful TV formats. The reason Japan remains a small player can be summarised into two points: alien-ness of Japanese popular shows and structural problems in the Japanese TV industry. Many buyers pointed out the problems of the unfamiliar format of the variety show as well as a tendency towards noisiness and exaggeration. Most Japanese light entertainment shows, one of the most popular genres in Japan, usually include several themed segments to hold the audience’s attention; this format is called a variety show. For example, Hole in the Wall, (2006–present, Fuji-TV; 2008–2009, BBC One) a game show originally produced by Fuji-TV, was merely one segment of the variety show Tunnels no Minasan no Okagedeshita (Tunnels Thanked for All, 1998–present, Fuji-TV, 21 September 2006). In fact, in any single episode, the show also presents a completely different segment, a game in which two celebrities try to discover which menu the opponent dislikes while they are eating from five menus. To clarify this point, compare two popular comedy panel talk shows, one from Japan and one from the UK. The Japanese show is Ame-talk!, a panel talk show by Japanese comedians, and the British one is 8 Out of 10 Cats, a panel talk show on opinions and surveys. Video 1. Ame-Talk!, TV Asahi, 2015. Go to the online version of this article to watch the video. Video 2. 8 Out of 10 Cats, Channel4, 29 December 2015. Go to the online version of this article to watch the video. First, one obvious characteristic of the Japanese show is that 12 comedians including the hosts appear at the same time and often speak loudly and simultaneously. On the other hand, in 8 Out of 10 Cats, although there are seven cast members including the host, Jimmy Carr, the panellists rarely speak loudly or simultaneously. However, completely new formats do not always lead to stable revenues even if they are sold internationally. For example, the British version of Hole in the Wall was produced on BBC One for only two seasons, and it has not aired since 2014.24 The UK version of Takeshi’s Castle (1986–1989, TBS; 2002–present, Challenge) has become almost a different programme because it is re-edited and features only the contestants’ failures in the games, and the storyline has been completely changed. Video 3. Takeshi’s Castle original version, TBS, 20 January 1989. Go to the online version of this article to watch the video. Video 4. UK version on Challenge. Go to the online version of this article to watch the video. This is far from the proper format business model in which a local version is produced, preserving the original generative structures, for multiple seasons, which provides the licenser with a stable revenue source. Japan can sell TV formats successfully, but has not become one of the leading TV format producers. The TV format business is not a single sales process. If a local version is not produced, the licenser cannot gain any profit, which means that the business process after “the deal” is as important as the quality of the programme. This section examines the causes of three problems pointed out by the TV buyers: lack of a flying producer system, understaffing and a frequent change of staff. This research has found that a flying producer (or international producer) system has not been firmly established in the Japanese TV format business. According to Simon Quigley, an international producer at BBC Worldwide, flying producers will be ‘involved [in] the production by supplying the producers and broadcasters with the format bibles’ after a format is licensed or sold to broadcasters worldwide.28 They are also in charge of consultancy on the production from pre-production all the way through to transmission. Put another way, flying producers are responsible for the success of local versions as ‘game makers’ in local production teams. Since producers and broadcasters buy TV formats that already have track records in a territory, to secure the success of the local version, the flying producer system is one of the most important services for the licensee. However, this study found that Japanese TV channels do not employ flying producers or hire only one (Table 1). Fuji-TV YES – one Head of the department is also a flying producer. TV Asahi YES – one They just hired one in July 2015. Generally, producers on popular shows are very busy. It would take a long time to actually visit the local licensees and give them some advice on production. Even if the format is licensed, the Japanese TV format business proceeds very slowly. Moreover, Simon Quigley points out that original producers’ affection for the shows can impede format sales. Since the ability to adapt is TV formats’ raison d’ê tre, the licensees naturally expect to be allowed to adapt the format to some extent. However, the original producers tend to hesitate in allowing adaptation because they have a strong affection for their shows. The second cause is that most Japanese TV format producers are understaffed. So Fujinuma at Fuji-TV stated: ‘The department is very small and lack[s] workers, and our in-house production teams don’t understand our business very well’.35 As noted, Japan has the second largest market in the TV industry, but the country is still a small player in the format business. The departments in charge of international sales are not given enough staff. Due to the lack of a flying producer system, the departments need help from in-house production teams for production consultancy, but they do not understand the business at all. Consequently, the few staff members cannot avoid being in charge of both the business and the production consultancy, which is considered untrustworthy by potential licensees. Furthermore, even if a Japanese TV format is acquired, the overly long process can make the licensee give up trying to produce the local version, for example, due to changes in their business circumstances. Therefore, even if they have an interest in a Japanese format, the situation discourages them from buying the format, and thus many opportunities disappear. One place where TV format workers build and nurture their relationships is at global TV content fairs. 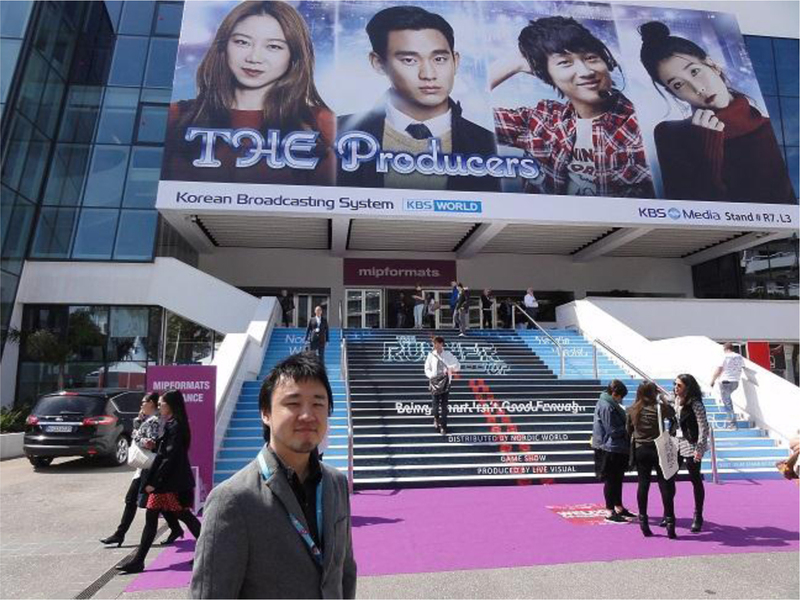 The author did fieldwork at MIP TV 2014 in Cannes, France. 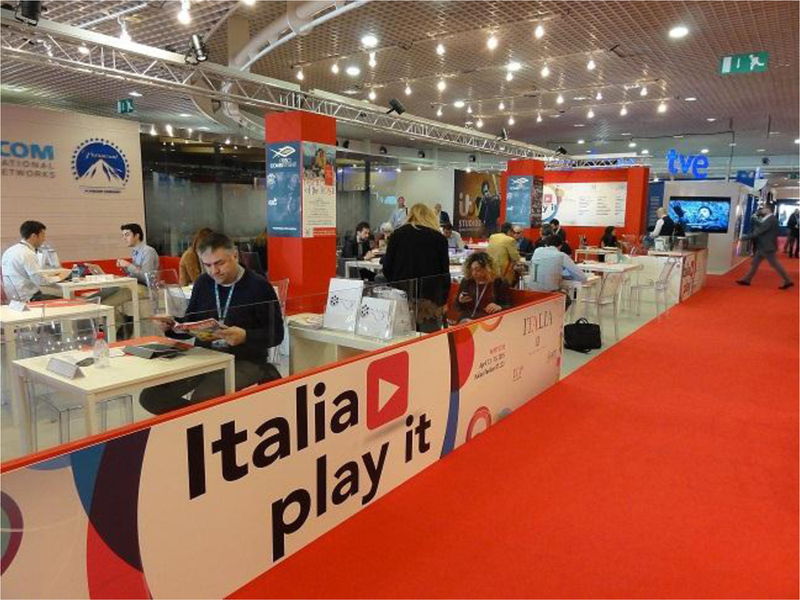 Format salespersons and distributors pay huge entrance fees, as much as €1,400 per person, to build booths to market their latest content and attract content buyers in Palais des Festivals, a big convention centre next to the Mediterranean, where the Cannes International Film Festival also takes place (Figures 2 and 3). Extravagant parties are held every night after the fair (Figure 4). Figure 2. The author at the MIP TV 2014. Figure 3. Big booths and stands. Figure 4. 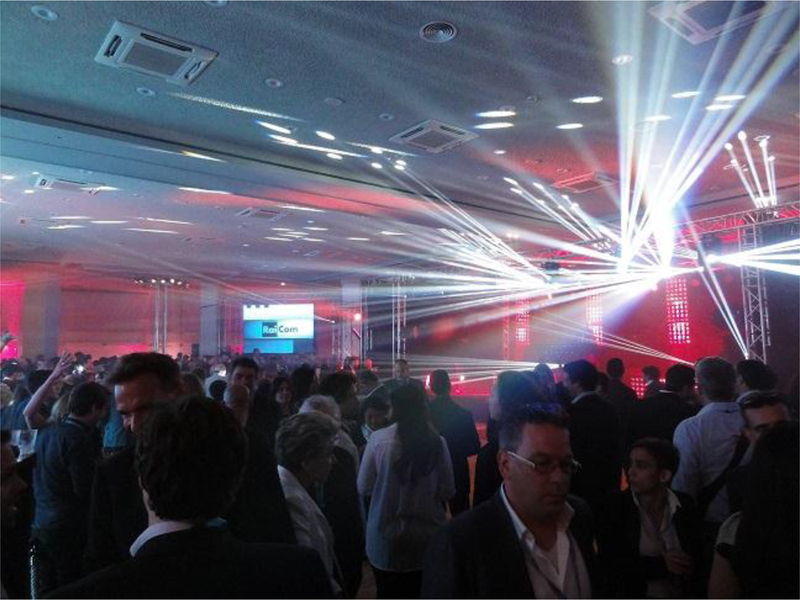 Welcome party at MIP TV 2014. Figure 5. Small conversations in every corner. Personal connection is an aspect of Japanese business practice, however, frequent shuffling of staff in Japanese TV channels is a serious problem. The traditional management style is one impediment to Japanese TV format sales. Japanese TV format sales could be improved by adopting three possible solutions: building on Japan’s established reputation for game shows; adapting business structures to established international practice; and learning by purchasing TV formats from outside Japan. Japanese format salespersons are unanimous in stating that they need to increase format sales as quickly as possible to persuade their management to invest more in human resources. According to the interviews, current TV format departments are very small, so genre concentration is required to achieve any growth. However, the particular Japanese variety show style is an obstacle and some predecessors, for example, Takeshi’s Castle and Hole in the Wall, were short-lived or too adapted in a way to emphasise the craziness. However, Japanese TV channels should be able to find some suitable game shows for the international market from their TV libraries, which stretch back over 60 years. To uncover hidden treasures from this long history, I would argue that Japanese TV channels need to concentrate on game shows first. Japanese TV channels should also change their business structure by developing the role of the flying producer, because they can solve many problems and improve aftercare services. Because format sales is a continuous business, even if a seller and a purchaser agree on a contract, the production is often cancelled for some reason.42 Therefore, aftercare services or consultancy services to maintain the local version’s broadcasting are important for both licensees and licensers. The Japanese industry can also learn contemporary business practices by buying rather than selling formats. Xabi Zabaleta, head of New Formats and Projects at Pausoka Entertainment in Spain, insists that Japanese TV channels should buy formats to learn how to work worldwide. Japan is strangely reluctant to buy TV formats. Japan sold 16 formats but bought only one from 2006 to 2008, whereas the UK bought 37 formats and the US bought 67.48 When a TV channel buys a format from another country, the channel can see in practice not only the content of the bible, but also the process of reproduction and consultancy. I would argue that purchases of foreign TV formats enables them to learn international business practice. Although Japan has a track record of selling TV formats, for example, Takeshi’s Castle (TBS), Dragon’s Den (NTV), and Hole in the Wall (Fuji-TV), it is still a small player due to four impeding elements: the variety show form; lack of the flying producer system; lack of business efficiency in the sales departments; and frequent turnover of staff. As profitability declines in the Japanese TV industry, greater participation in the international formats market is becoming a business imperative. Takeshi Murakoshi graduated from the MA programme in International Broadcasting at Royal Holloway University of London in 2014–2015, after working as a TV director in Japan for seven years.